Looking for the perfect gifts to keep your tripawd fit, comfortable, safe and entertained all year round? Consider this short list of favorites from the Tripawds Gear Shop! 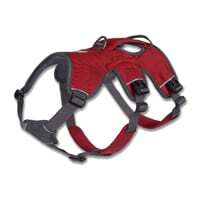 The Ruff Wear Webmaster harness is an all-time favorite, perfect for providing support when your dog needs it. Help prevent injury by assisting your tripawd in and out of vehicles, up and down stairs, or on slippery surfaces. Ruff Wear Bark’n Boots provide traction on slick floors at the vet’s office or on hardwood and tile floors around the home. Help prevent pressure sores caused by the compensation of extra weight on remaining limbs, or see all our recommended tripawd traction solutions. 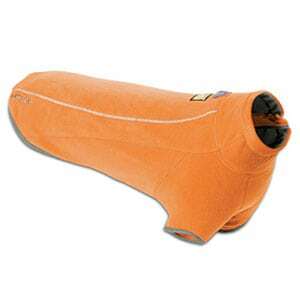 Help your dog swim farther, longer, and much safer with the K9 Float Coat from Ruff Wear. Swimming is great low impact exercise for triapwds, and a life jacket is essential for use during hydrotherapy sessions. Keep tripawds cozy, warm and stylish with the Ruff Wear Climate Changer! Provides warmth and insulation without added weight. the soft fleece is made from recycled materials, it is durable and machine washable. Visit the Tripawds Fitness page for a wide selection of canine conditioning equipment for keeping tripawds fit while having fun. 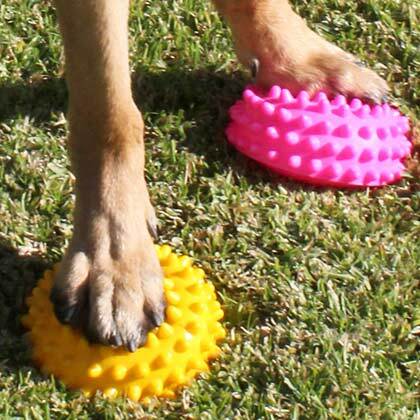 Consider the popular Balance Disc or Paw Pods for weight bearing exercises and unstable surface work, a must for core strengthening and balance. Veterinarians recommend the even, supportive comfort of an orthopedic bed. This is especially true for tripawds, senior dogs or any physically challenged pups. 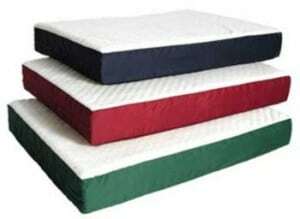 A firm bed or thermoregulating bed can be best for new tripawds. Sport bottles for dogs like the Water Rover dog sport bottle are a must-have for keeping tripawds hydrated on walks. 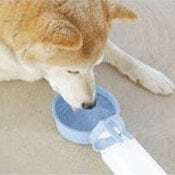 Remember to take more frequent shorter walks with three legged dogs, rest often and always take along plenty of water! Confinement is key to safe recovery, but it can drive dogs crazy when they can’t run around to expend their energy. Work out your dog’s most important muscle, her brain! Keep dogs entertained for hours with long lasting treats and interactive dog toys like the Dog Twister game! Shopping online for your pet gifts? Start here to support Tripawds! Just found a page regarding Greyhounds . Although I do not own a greyhound, I do have whippets..any sight hound info always peeks my attention~~~I went to all the sites were suggested, and was very impressed with products offered for Tripawds~~~what a wonder company and all it’s doing to make the lives of these precious dogs a little easier~~My hats off to you all for working with all these beautiful animals~~~~would love to be able to receive a newsletter if you do offer one, just to keep up in different areas of special dog care~~Hoping to hear from you concerning a newsletter~~~Sincerely. Thank you for the kind comment Charleyne. Tripawds has not yet launched a newsletter, but if you register on the main site you will receive it when we do. In the mean time you can subscribe to or Varioous RSS feeds on the home page, or subscribe to just the Tripawds Featured Blogs.